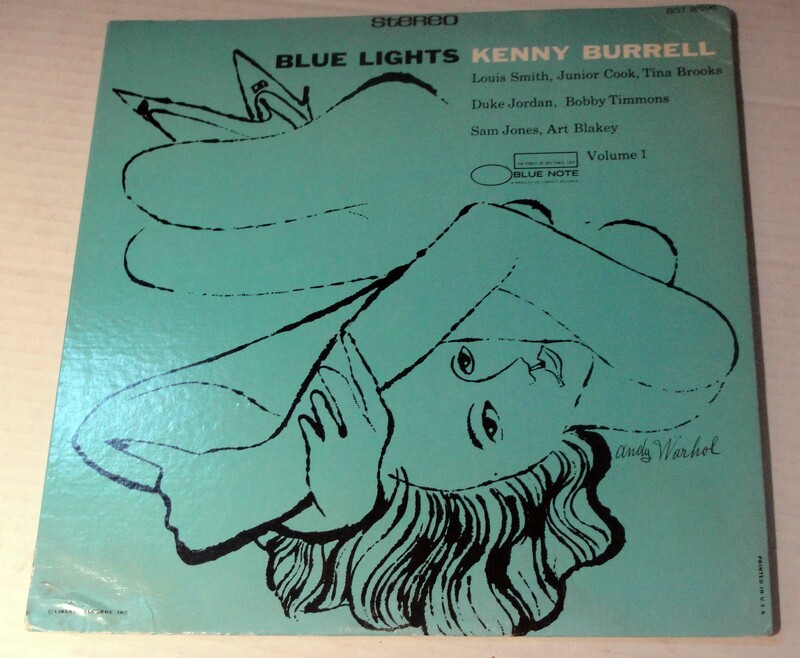 Kenny Burrell's 1958 Blue Note label "Blue Lights" series, with cover art by Andy Warhol. 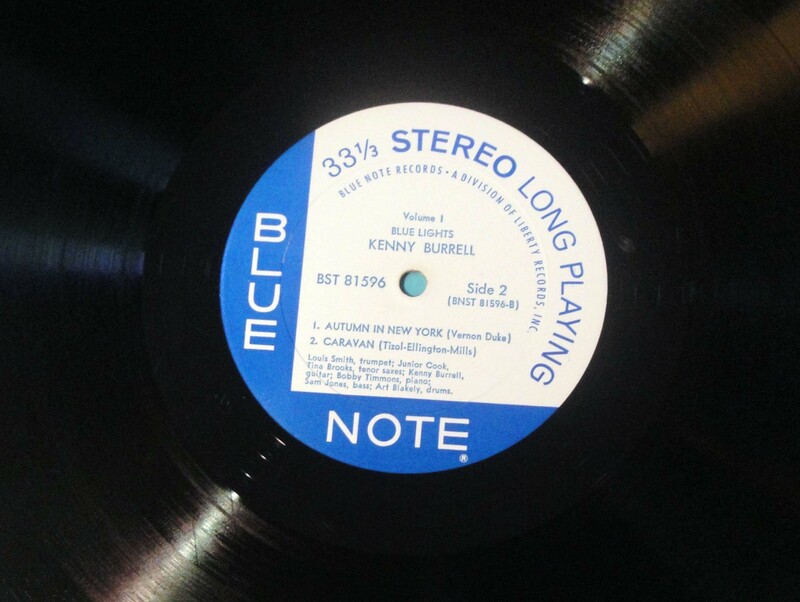 The personnel are Kenny Burrell, guitar, Louis Smith, trumpet, Tina Brooks, tenor saxophone, Junior Cook, tenor saxophone, Duke Jordan, piano, Sam Jones, bass, Art Blakey, drums. This record is playable and sounds good, but it is not in pristine condition. 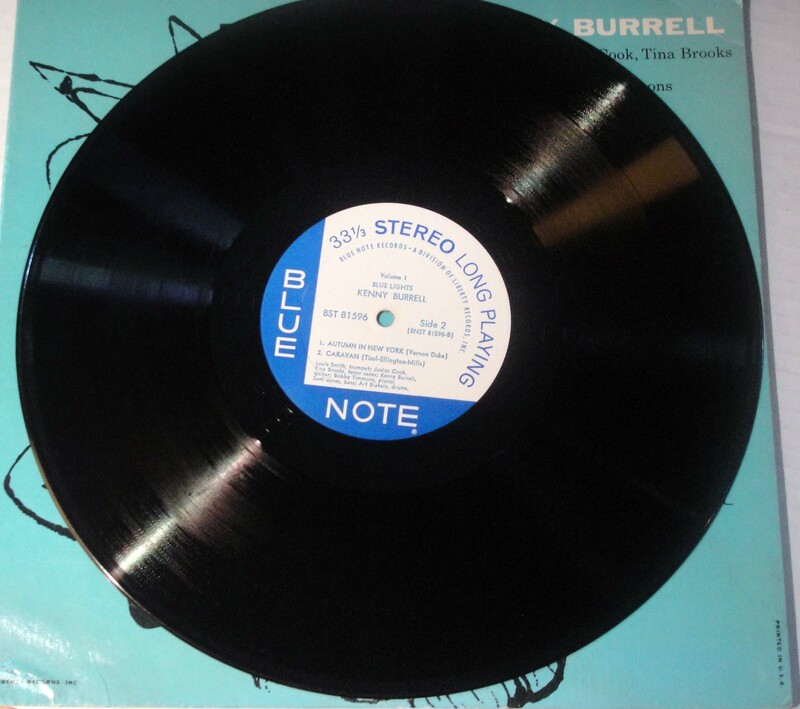 The vinyl has a few scuffs and skips (sample track) and the cover is bent at the lower left corner.